The Wilhelm Scream, you've probably heard it hundreds of times and not even realise it. Here is the history of one of, not just Horror but in all film genres. The Wilhelm scream is a film and television stock sound effect that has been used in more than 200 movies, beginning in 1951 for the film "Distant Drums". In a scene from the film, soldiers are wading through a swamp in the Everglades, and one of them is bitten and dragged underwater by an alligator. The scream for that scene was recorded later in a single take, along with five other short pained screams, which were slated as "man getting bit by an alligator, and he screamed." 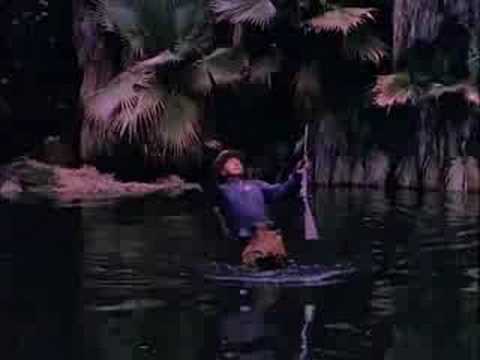 The fifth scream was used for the soldier in the alligator scene—but the 4th, 5th, and 6th screams recorded in the session were also used earlier in the film—when three Indians are shot during a raid on a fort. 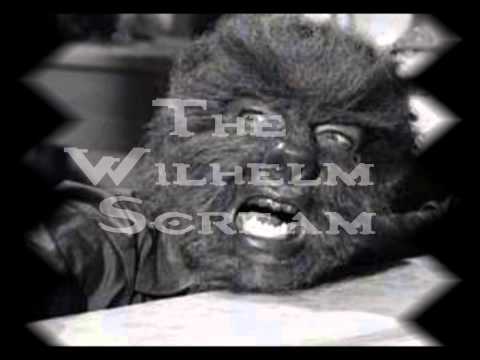 Although takes 4, 5, and 6 are the most recognizable, all of the screams are referred to as "Wilhelm", by those in the sound community. Apparently voiced by actor and singer Sheb Wooley, the sound is named after Private Wilhelm, a character in "The Charge at Feather River", a 1953 western in which the character is shot with an arrow. This was believed to be the third movie to use the sound effect and its first use from the Warner Bros. stock sound library. The Wilhelm scream's revival came from motion picture sound designer Ben Burtt, who discovered the original recording (which he found as a studio reel labeled "Man being eaten by alligator") and incorporated it into a scene in "Star Wars". Burtt is credited with naming the scream after Private Wilhelm. Over the next decade, Burtt began incorporating the effect in other films he worked on, including most projects involving George Lucas or Steven Spielberg. (It is used in all of the "Star Wars" and "Indiana Jones" movies.) Other sound designers picked up on the effect, and inclusion of the sound in films became a tradition among the community of sound designers. Research by Burtt suggests that Sheb Wooley, best known for his novelty song "The Purple People Eater" in 1958 and as scout Pete Nolan on the television series "Rawhide", is likely to have been the voice actor who originally performed the scream. This has been supported by an interview in 2005 with Linda Dotson, Wooley's widow. Burtt discovered records at Warner Brothers from the editor of Distant Drums including a short list of names of actors scheduled to record lines of dialogue for miscellaneous roles in the movie. Wooley played the uncredited role of Private Jessup in "Distant Drums", and was one of the few actors assembled for the recording of additional vocal elements for the film. Wooley performed additional vocal elements, including the screams for a man being bitten by an alligator. Dotson confirmed that it was Wooley's scream that had been in so many westerns, adding, "He always used to joke about how he was so great about screaming and dying in films." The Wilhelm scream has become a cinematic sound cliche, and by 2011 had been used in many instances, including over 225 movies, television shows and video games. Some directors, most notably George Lucas, Quentin Tarantino, and Peter Jackson include it in almost every one of their productions. The scream is also used widely in on-line media communities, especially amateur video projects.